After a weekend in Barcelona, my husband and I rented a car. 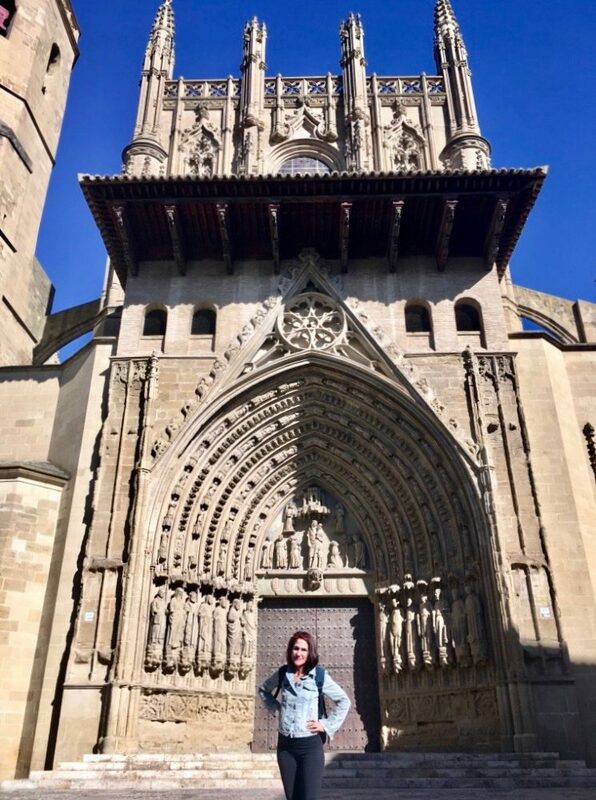 I love Spain (hence, my upcoming novel is called, “Flamenco & the Sitting Cat”) so we had much to admire along the way to French Basque country. We stopped for lunch in Spain’s lovely city of Huesca. Their beautiful cathedral is in the historic district. Built on the remains of a mosque, it took 300 years to complete in the early 16th century. Nestled in nearby ancient buildings are two restaurants. One is authentic Korean! As much as we love our kimchi, we decided that instead it was a lovely day for a modest yet elegant meal of traditional Spanish food on a pretty outdoor patio. Huesca, Spain, courtesy of Wikipedia. 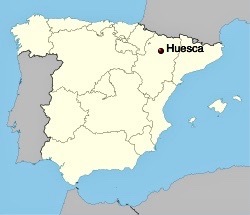 Huesca according to Wikipedia… is a city in north-eastern Spain, within the autonomous community of Aragon. It is also the capital of the Spanish province of the same name and of the comarca of Hoya de Huesca. In 2009 it had a population of 52,059, almost a quarter of the total population of the province. The city is one of the smallest provincial capitals in Spain. Wall art across the street from Huesca Cathedral. 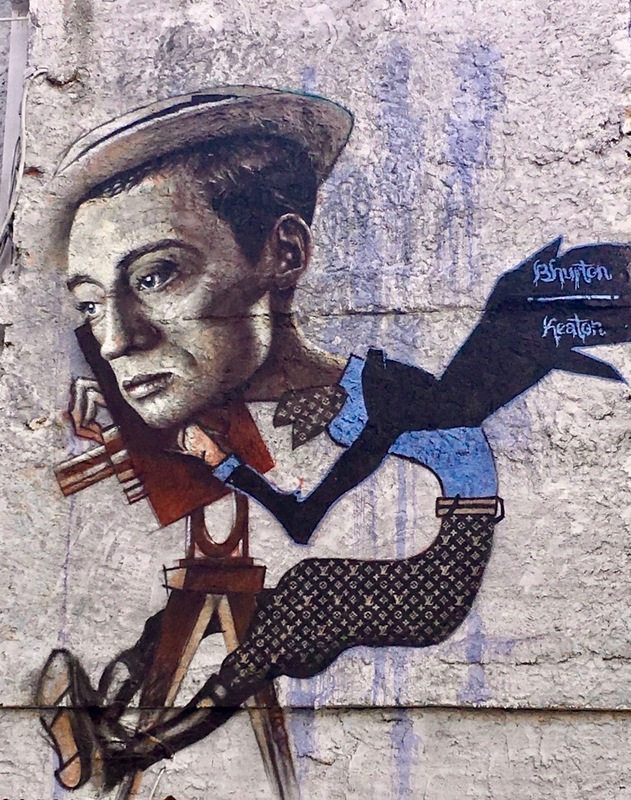 Buster Keaton — or Jude Law? Wall art and graffiti abound e-v-e-r-y-w-h-e-r-e in Spain! Here in the U.S., graffiti is seldom as welcome. Our vacation had started in beautiful Barcelona. 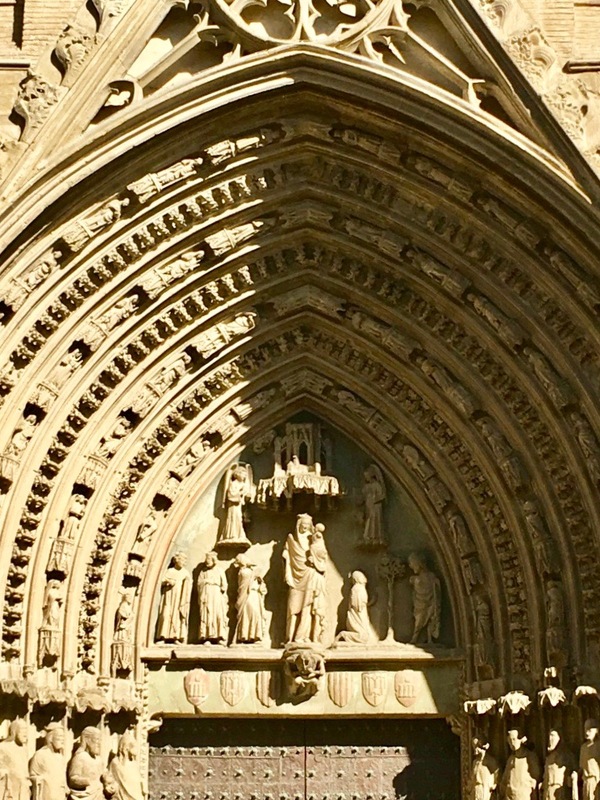 Now that we’d enjoyed wonderful Huesca, we were off to France. 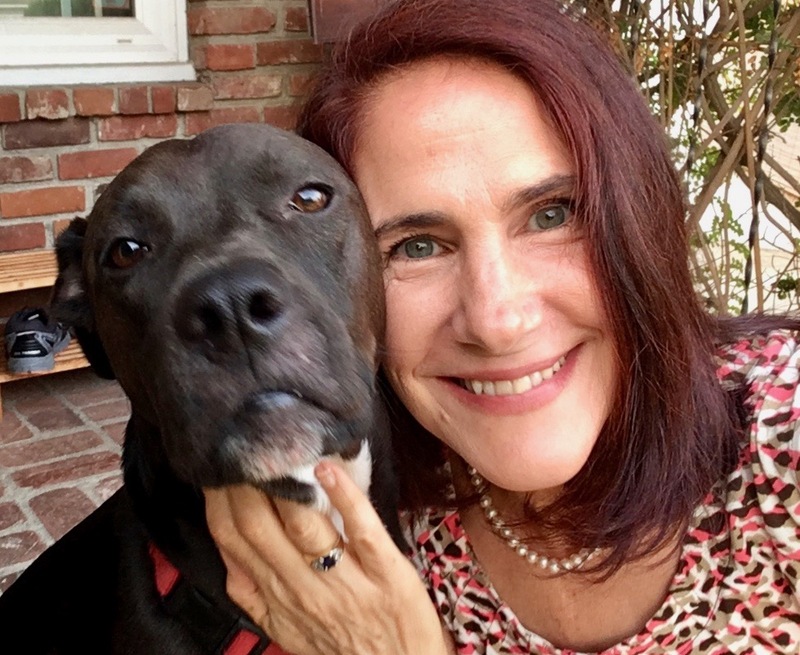 There we’d see pretty Saint-Jean-Pied-de-Port, enchanting Espelette, and phenomenal French Basque Country (Saint-Jean-de-Luz, Bayonne, and Biarritz).